Tattoo Blog » What is Acceptable? Tattoo Blog » Inspired » What is Acceptable? 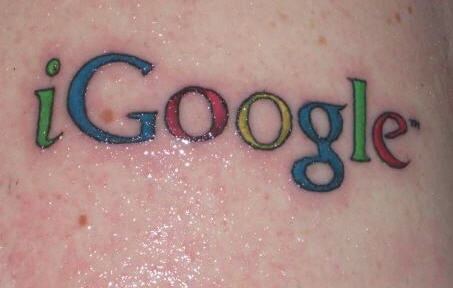 If someone says the name “Google” to you, chances are that the first thing that you think of isn’t tattoo. That would be the normal reaction of course, but the truth is that aside from aiding online searches all over the world for images of tattoos and portfolios of artists, Google is also at the forefront of changing what’s considered acceptable in terms of an employee dress code. What does this have to do with tattoo? Well, as much as I’d love to say that the days of missing out on a job because you’re tattooed is a thing of the past, it really isn’t. Most recently a sheriff in Florida issued a ban on tattoos for officers serving on the Broward County police force. Banning tattoos in the workplace is certainly nothing new, though it’s still entirely too common. Which is why Google’s approach to workplace attire and appearance is a refreshing and sensible breath of fresh air and hope for a more tattoo friendly future. ‘At Google’s Canadian headquarters, a strict dress code is enforced: employees must wear clothes. The laissez-faire policy, emphasizing productivity and ideas over appearance, heaves a water balloon at more traditional guidelines requiring workers to conform to such austere standards as wearing shoes — which, incidentally, are optional at the search-engine’s offices. The article goes on to explain how this somewhat libertarian approach to dress-code is receiving mixed reviews elsewhere and that by allowing employees to dress how they wish for work, too many complications arise such as sexual harassment of female employees who tend to dress more provocatively. Well, Google revolutionised the internet search, let’s see (and hope) if their way of doing things can spread amongst modern, forward-thinking businesses everywhere.